Although I get a lot of the recipes that I make from other food blogs, there is nothing quite like flipping through a cookbook to look at all of the wonderful recipes and photos. Christmas will be here before we know it, so I thought I would share a few of my favorite cookbooks. Some of these selections are a few years old, and some just released, but they are all great cookbooks to own or give as a gift! 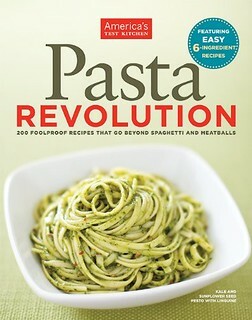 Pasta Revolution from America’s Test Kitchen: You really cannot go wrong with America’s Test Kitchen. As soon and I received this cookbook in the mail I could not stop bookmarking recipes to try. If you love pasta, or know someone who does, this is the cookbook to get. It has something for everybody: Skillet Ziti, Skillet-Baked Tex-Mex Macaroni, Vietnamese Rice Noodle Salad with Pork, several different tomato sauces, pasta salads, and so much more. Really this cookbook has it all--you won’t be disappointed. 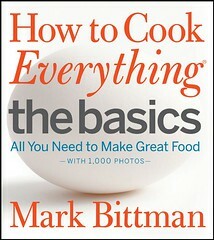 How to Cook Everything: The Basics by Mark Bittman: I bought this cookbook last year for Russell for Christmas. Russell expressed an interest in learning how to cook, and after several people recommended this cookbook I decided to order it for him. It is a great cookbook for beginners, but I also think it is a great reference book for any kitchen. It includes just about everything and features several photos with each recipe for guidance. In fact, it has more than 1,000 photos in the book! I don’t know about you, but I love seeing photos with each recipe (food blogs have really spoiled me in this respect). 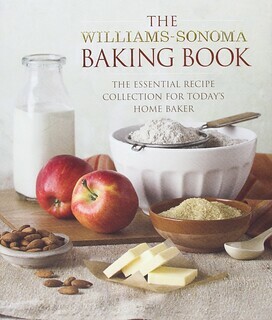 The Williams-Sonoma: Baking Book: This cookbook includes all things baking. This is another cookbook that when I flip through it, I just want to make everything! From cookies to cakes, pies and tarts, etc. If it’s baked, it is probably in this cookbook. This is a great cookbook to have on hand if you are looking for trustworthy recipes. 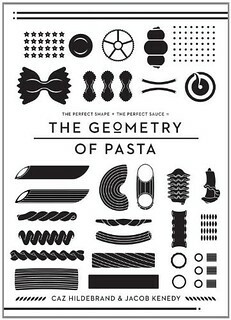 The Geometry of Pasta by Caz Hildebrand and Jacob Kenedy: I just received this cookbook and haven’t actually made anything from it yet which probably has you wondering why I am including it with my favorite cookbooks already. Although I haven’t made anything from it yet, it has been a great reference book for explaining the many, many different types of pasta, their history, and it includes recipes for each type. Russell and I both love pasta so I have really enjoyed reading about the different types of pasta and their history. This cookbook doesn’t have photos besides the black and white depictions of each type of pasta and yet I didn’t find myself missing the photos unlike when I normally wish cookbooks have more photos. From Our Grandmothers’ Kitchens: This is another cookbook from America’s Test Kitchen, Cook’s Country. I have really enjoyed this cookbook. Readers were asked to send in family recipes along with the stories behind them to Cook’s Country. Cook’s Country then sorted, tasted, and compiled a cookbook from all that were submitted. I have really enjoyed this cookbook and reading the stories behind the recipes is a great compliment to the food. I have at least 10 recipes (if not more!) bookmarked to try. 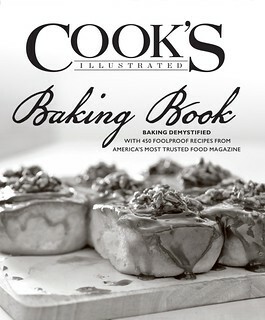 Cook’s Illustrated: Baking Book: Are you noticing a trend here? Cook’s Illustrated is behind some of the best cookbooks around and I suspect this one is no different. 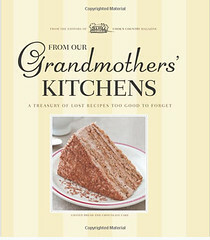 Focused solely on baking, I hope to add this cookbook to my bookshelf soon! Slow-Cooker Revolution Volume 2: Trying to prepare dinner with two babies and a toddler can be hectic. The idea of prepping dinner in the slow-cooker early in the day and having food ready for dinnertime sounds wonderful to me! 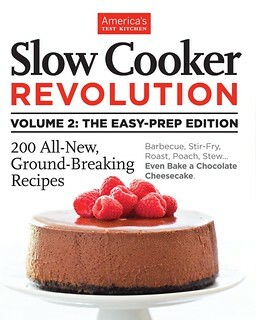 I also love that this cookbook contains more than the traditional slow-cooker recipes with entries such as spice-rubbed roast chicken, flour-less chocolate cake, and cheesecake.